If you're between jobs or self-employed, you may be daunted by rising health insurance rates. Free medical insurance options exist for those seeking coverage for themselves and for their families, operating on a minimal budget. Where Can I Find Free Medical Insurance? The federal government offers two major healthcare programs: Medicare and Medicaid. Though you may be eligible for both, each program has separate eligibility requirements and their services are not necessarily overlapping. You need to review the details to determine which program is right for you. Part A Hospital Insurance: Since this is already paid for by payroll taxes from you or a spouse, there is generally no premium for Part A. Medicare's Hospital Insurance is applicable to inpatient hospital care, which includes critical access hospitals as well as skilled nursing facilities. Hospice care and some home health care are also covered under this category. Part B Medical Insurance: Unlike Part A, you will likely pay a monthly premium for Part B. Medicare's Medical Insurance helps cover medical services and outpatient care, as well as various medical services not covered by Part A. These include some home health care as well as some physical and occupational therapists' services. 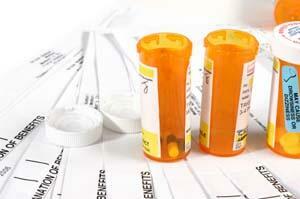 Prescription Drug Coverage: Like Part B, this also involves a monthly premium for most people. As of Jan. 1, 2006, new Medicare prescription drug coverage is available; private companies provide this insurance, which can help insulate you against increased drug costs while lowering the price you currently pay for prescriptions. There are also other options for reduced-cost prescriptions outside of Medicare. Your child may also be eligible for Medicaid if he or she is a U.S. citizen or lawfully admitted immigrant. Even if you may not be eligible for the program, your child may be depending on his or her individual status. Contact your state Medicaid organization to find out its specific eligibility requirements. The U.S. Department of Health and Human Services, whose "Insure Kids Now!" initiative covers uninsured children and teens at no or low cost. The insurance covers doctor's visits, prescription medicines, and hospitalizations, as well as a host of other health-related needs. The Pennsylvania Children's Health Insurance Program, which offers uninsured children and teens no-cost or low-cost coverage. Unite for Sight is a state-by-state portal for free vision-care programs. The Aging and Disability Resource Center of Broward County provides free medical insurance counseling on Medicare, Medigap, HMO plans, Medicaid, prescription drug plans, and long-term care insurance. In July 2006, Connecticut attorney general Richard Blumenthal warned consumers of attempts at phone fraud in which callers claimed that they represented the Department of Public Health. Not only did they offer free health coverage for life, but they also promised a thousand-dollar-shopping spree - in return for the consumer's bank account number.As with any other offer of free or discounted services, a healthy sense of cynicism can help distinguish between a genuine program and a scam.